We all love some of the white stuff, mother natures most wholesome food, milk… Contains no preservatives, colourings or artificial flavourings. From a young age we’re taught milk is nutritionally essential for our health. But can you drink milk on a diet? Whilst whole milk is the highest in saturated fats, the naughty ones that are said to clog our arteries, it still only has 3.5 grammes of fat per 100ml. Added up that’s not so much fat: “10grammes” per breakfast serving. Whole cows milk is packed full of nutrients including protein, calcium, zinc and vitamins A and B. Always the best milk for the children as it has the fat and vitamins needed for growth. Full Fat = Calories, so if you’re watching your calorie intake go for the semi-skimmed, now the most popular type of milk sold in the shops, and containing half the fat of whole milk. Take it even further if you wish and go for the skimmed type. Skimmed has the lowest fat content of all milks available and contains similar amounts of calcium compared with the whole milk. I tried this stuff once though and hated it, It felt like I was eating my cereal with water. This happens if you take the fat out of the milk you lose the flavour and the taste becomes almost watery. A glass of whole fat milk only contains 134calories, it’s nowhere near as bad as some people may think, whole fat contains 3.5 grammes of fat, semi 1.7 and skimmed 0.3. If you do opt for the skimmed or semi-skimmed you will start to lose the fat-soluble vitamins. Why are so many people leaving dairy products? For many years us guys have been moving away from drinking milk for fear the white stuff is fattening, sales have been falling. According to the grocer https://www.thegrocer.co.uk/bu…UK milk sales down £240m over two years, Total fresh milk sales fell by more than £180m last year, and by a further £54m this year…. the trend mirrors statistics in the US. 1. Another reason people fear milk is “antibiotics” being used in the production of milk this can scare some! I drink organic which is said to be free of these. 2. People tend to forget how GOOD milk really is for you. Milk is one of the best sources of calcium for the body. Packed with Vitamin D, it helps the body absorb calcium.Vitamin D is not only important for proper calcium absorption but also may improve immunity. It improves vitamin intake, healthy teeth, strong bones and rehydration. Fats in milk constitute essential fatty acids which are important for body cells. It contains Vitamin A for healthy skin and a stronger immune system. Lactose-free and low in calories there are some other great alternatives to dairy milk, full of nutrients and a few also contain as much if not more calcium than dairy milk. 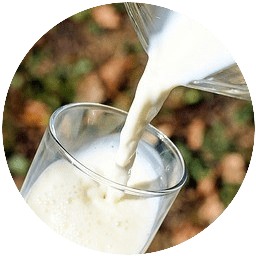 OAT – A good milk for cooking/baking it can also be drunk cold. Oat milks are made from the liquid left over when oats are soaked in water. With a mild slightly sweet taste it’s palatable, but low in fat and rich in calcium, it’s one to consider if you fancy a switch to non-dairy. 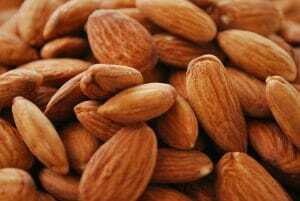 ALMOND – I found this one had a nice mild nutty taste, surprise surprise! Really though it tasted great, it’s top stuff for vegans and lower in fat and calories than soya milk. Made from ground almonds mixed with water, it too can be used for cooking or drinking. It’s lactose and saturated fat-free, and is one of our lowest in calories of all milk alternatives. GOAT – Apart from cows milk, goats milk is now the second most consumed animal milk in the world. Funnily enough, although this stuff has lactose, evidence shows that a large proportion of those with an intolerance to goats milk can tolerate goats well. It’s far more easily digested than cows milk due to having less lactose, smaller fat molecules and a different protein structure “Though it may not impact digestion, goat milk also offers 13% more calcium than cow’s milk, along with 25% more vitamin B-6, 47% more vitamin A, 134% more potassium and 350% more niacin. It is also higher in minerals like chloride, copper and manganese, and contains 27% more of the essential element selenium,” says Megan Gilmore, Certified Nutritionist Consultant. RICE – Getting ever more popular amongst those who are soya and cow milk intolerant. “Rice milk is made by pressing the rice through a mill using diffusion to strain out the pressed grains. It is sometimes also made at home using rice flour and brown rice protein, or by boiling brown rice with a large volume of water, blending and straining the mixture,” says Wikipedia, I drink rice milk and I find it is quite pleasant and kind of sweet. I get the added calcium as rice milk on its own is low in calcium and protein, it has less fat even than soya. Alternative kinds of milk are low in calories compared to whole milk but unless you buy the enriched ones with calcium and other nutrients you will be missing out on most of the goodness a dairy milk provides. Organic semi-skimmed is the type of milk I like to drink consisting of half the calories of whole milk but still packing a lot of protein and calcium, it would be a good choice for you if you do not like to consume too much fat but still want all the goodness from dairy milk. Going organic you are avoiding the risk of the antibiotics used to treat mastitis infections by farmers, “Defra survey found that 85% of non-organic farms used routine, non-selective dry-cow (nonlactating) therapy. Dairy cows receive on average two antibiotic treatments annually, one to prevent and one to treat mastitis.” says saveourantibiotics.org. Surprisingly it is a much higher use than I previously thought before researching this article. Interesting! . Actually, I don’t know about Rice Milk I think it testes good. Also its nutrition facts is rich of proteins, amino acids, and vitamins that really helps building muscles as well. Great blog I really enjoy reading your topic. Thanks Arqam I’m happy you liked it. Thanks for all that useful information. I had no idea goats milk was so much better than cows milk, although I have never seen it at the supermarket. I have used Soya milk for years and now use full cream. After reading your article I think I’ll take your advice and go for the organic semi-skimmed. My dad introduced me to goats milk, I didn’t like the taste so I never tried again…Health food shops are your best bet if you want to give it a try!